The shape and length of the nose can make a big difference to the overall aesthetics of the face. It typically stops growing by the age of 16, so patients are advised to wait until then before deciding whether or not to undergo a rhinoplasty procedure. More commonly known as a nose job, a number of techniques are can be used to alter the nose’s shape and proportion. The technique chosen will depend upon the individual’s expectations from surgery and the amount of changes that need to be made. Mr Paul Tulley will conduct a full assessment prior to surgery to establish the best method and discuss the needs of the patient. 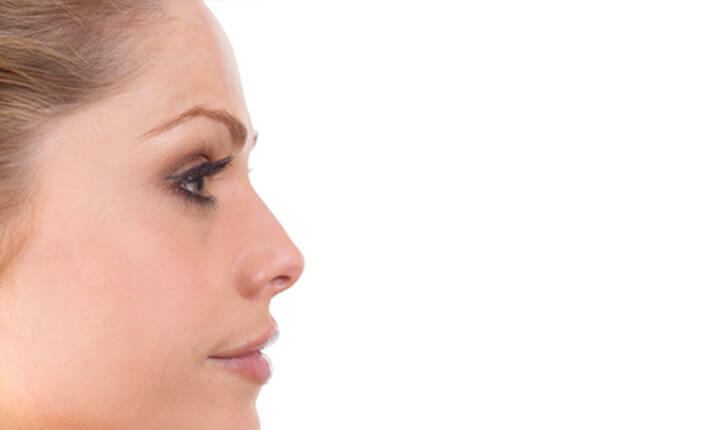 What does a rhinoplasty procedure entail? A rhinoplasty is performed under general anaesthetic and patients are usually required to stay in hospital for one night. It can take anything up to three hours depending upon how much work needs to be done. There are a number of techniques that can be used either alone or in combination. If the size of the nose needs to be reduced, Mr Tulley will rearrange or remove parts of the cartilage and bone. The skin doesn’t need to be altered as it automatically adjusts to the new shape. It can be done via an open or closed method. The closed method involves making incisions inside the nostrils. This leaves no visible scarring and also promotes faster healing. However, not all patients are suitable for closed rhinoplasty. The open procedure involves making small incisions between the nostrils and therefore leaves a visible scar. If you’re increasing the size of the nose, the cartilage and bone is also reshaped, but additional bone or cartilage may be required to build it up. Artificial implants are also occasionally used, but the use of your own cartilage or bone provides better, safer results. What downtime can I expect after a rhinoplasty? After the procedure a nasal splint will need to be worn for around seven to ten days. There will also be some swelling which should disappear after a few weeks. It’s worth noting that swelling around the tip could take a few months to go down and for the final full results to be evident. For advice on whether a rhinoplasty is the most appropriate procedure for you, book a consultation with Mr Tulley by calling 020 7183 1559 or use the contact form.